After an eventful yesterday, we decided to head to the largest shopping mall in Bangkok – Siam Paragon – for lunch. We headed straight for the basement and immediately came to realise how huge the shopping mall is. 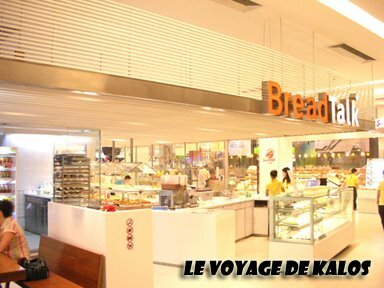 With tons of eatery, cafe and restaurants, it even features our very own Bread Talk. 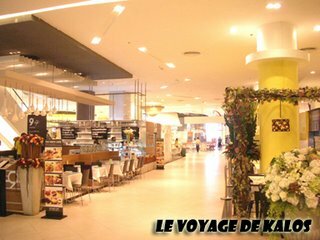 However, as we have decided to splurge on our dinner that night, we decided to settle for something simple and headed for the Siam Paragon’s Food Hall instead. 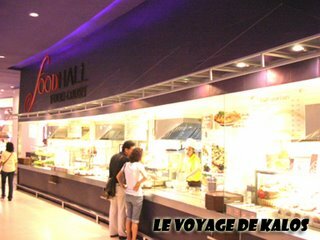 The concept is basically a food court, but you would need to purchase a stored-value card (refundable on the day itself) for food. 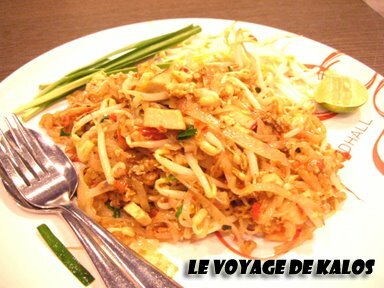 Since it was his 1st visit in Thailand, my friend decided to sample the Pad Thai, or Thai-styled Fried Noodles. 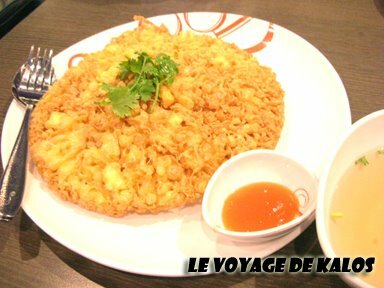 While being an egg-lover, I decided to sample the crispy egg with rice – quite a disappointment as the egg lacked taste and it felt like I was eating cotton candy. Being unsatisfied with my lunch, I decided to go for another walk around the place and chanced upon the Thai Spicy Noodles. 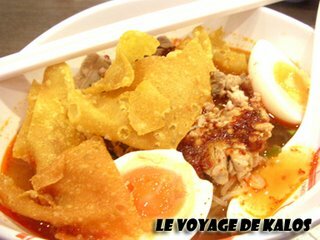 What captivated me was none other than the half boiled egg found in the noodle, as it kind of reminded me of the EGG I had in my ramen when I was in Hokkaido, Japan. 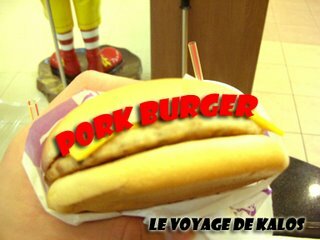 Just when you thought we were done with our lunch, my friend pointed out that their McDonalds’ menu differ from those found in Singapore as they serve – PORK BURGER!!! Since it wasn’t a big serving, I ordered one. It wasn’t incredible but at least it was something that you could never experience in Singapore. 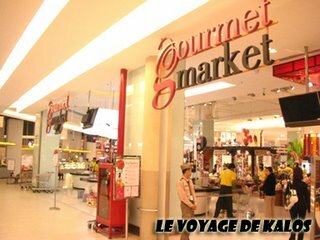 Amidst these eateries, you can also find a supermarket which goes by the name of Gourmet Market and is what must be the largest supermarket in Thailand. It is said to be the size of a standard soccer field.